Goldenrod Honey in a 1 pound container. 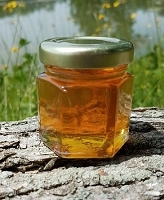 This honey has been heated and filtered. Goldenrod honey in a 1 pound container. 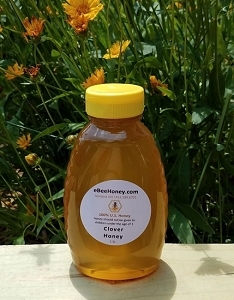 Goldenrod honey has been described with a variety of color and taste descriptions. 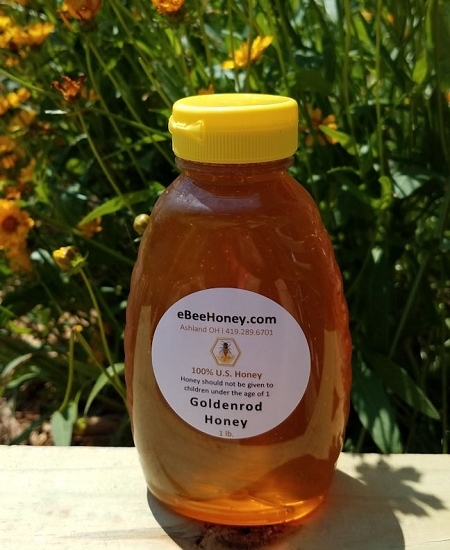 Our goldenrod honey is a light to medium honey in color and has a bit if a bite to it. This monoculture variety has a bad rep from beekeepers because the hives smell like stinky socks when the honey is being made. There's none of this in the honey I received, which is very sweet with distinctive spicy overtones. This variety should be better known among foodies. I really like the flavor of this honey. I will be buying a larger quantity. I do wish you had a store. 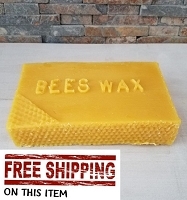 I paid about the same for the shipping the small amount of honey. But I know it's better for you to operate online. I had never had goldenrod honey before, but a friend strongly recommended it. 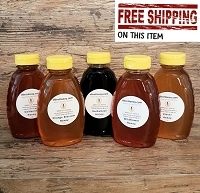 I am very pleasantly surprised at how "different" it tastes from the honey I normally find in the supermarket, and I am enjoying the unusual taste!